Insert your e-mail address and a original Username to join the project. You will receive a confirmation e-mail to achieve your registration. We remind you that your Username is the only public personal data; it will be visible and linked to your contributes to the activities related to our interactive map. I authorize the processing of personal data for the communications e information within the framework of CHeLabS project, under Regulation (EU) 2016/67. For more details see Privacy & Cookies Policy. Professional associations, business networks, agencies, cultural institutes or local organizations involved in the cultural heritage domain, public and private owners, superintendence, local organizations involved in the management of the cultural patrimony. Professionals and experts in conservation science, in technologies and materials for the cultural heritage conservation and restoration, students in restoration training courses, Experts in conservation science, in technologies and materials for the cultural heritage conservation and restoration. 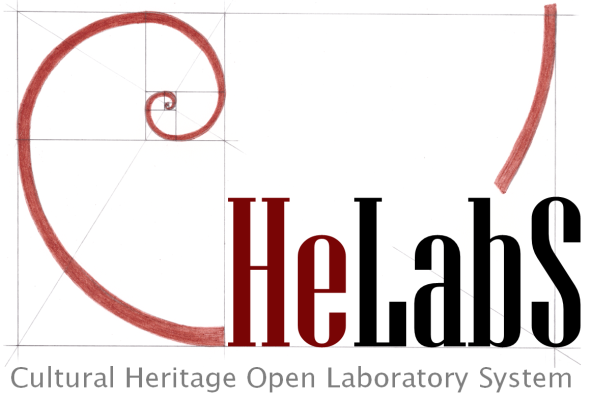 Professionals, enterprises, public and private organizations involved in research and development of innovative technologies and services in the cultural heritage domain. Public and private schools and high education institutions, Public and private Universities and Research Institutes involved in any research field. Public and private local, regional or national organizations, foundations, banks. Citizens, with no specific expertise in the field of cultural heritage.